Consider for a moment the teachers that inspired you and made a positive difference. Do you remember the lesson on Pearl Harbor? The FOIL technique in Algebra? The thesis statement in English? Perhaps yes, perhaps no, but that is not why Mr. Jones was your favorite teacher. Mr. Jones was beloved because you respected him, liked him, trusted him and believed he had something to teach you. Mr. Jones paid attention to you and cared for you, and most of all, because he inspired you to work hard and think differently. How do our universities approach Secondary Education? The general trend is more content in the subject area and more clinical experience. In fact, many schools on our list require a double-major to teach at the secondary level, while others offer a minor in secondary education that is being combined with an academic major for certification. Also, most schools are emphasizing technology integration, teaching diverse learners, and using data to improve the craft. Distance learning is an excellent option for those seeking a degree in secondary education. 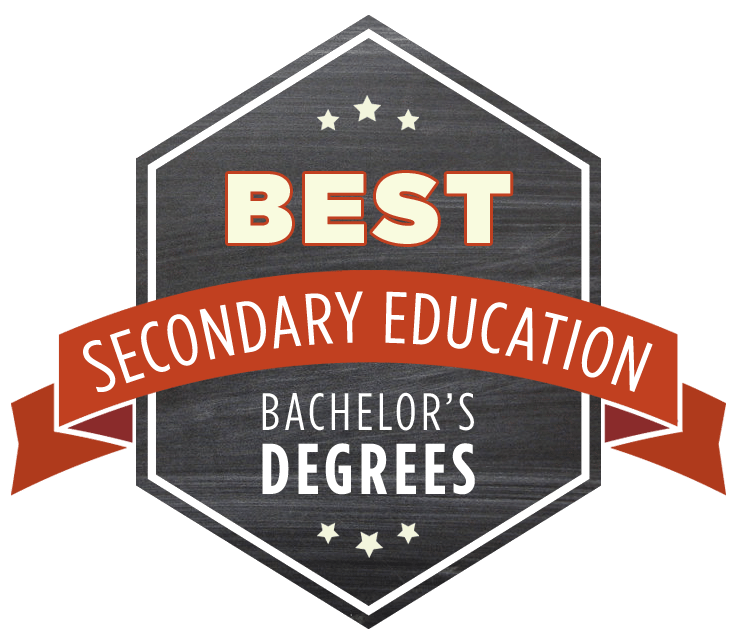 Take a look at our ranking of the Best Online Bachelor’s in Secondary Education. What are the Best Secondary Teacher Programs? The best secondary teacher programs follow a relevant curriculum that combines content knowledge with a solid foundation in the history, theory, and philosophy of education, adolescent development, classroom management; and the use of technology in education without sacrificing robust subject-area knowledge. When it comes down to, however, the “Best Degree” is really what helps you achieve your goals and ambitions. There is certainly demand for teachers, especially ESL teachers and those creative and imaginative enough to inspire the next generation. Why should I earn my degree in Secondary Education? The fact is, teaching is ultimately a calling. Named “the noble art” by many, the craft of imparting knowledge to young men and women is something that has to be for the greater good. If teaching, and being with young people in the high school environment is not something you enjoy, please, do not become a high school teacher. We all know the teacher who hated his job, and the negative impact he had. Remember, being a high school teacher is much more than just delivering information to passive receptacles. It is relationally based and requires you to get into the world of young people as a mentor, guide, coach, counselor, and more. As for planning to pay for the cost of your degree, which is certainly not cheap, according to the Bureau of Labor Statistics, the median salary of secondary teachers is $58,030 per year, and the job outlook is positive with a six percent growth rate in the next few years. What is your methodology for this particular ranking? Our rankings are based on research and statistics from various well-known sources. Our initial lists always rely heavily on the IPEDs database compiled by the National Center for Education Statistics but also include other related and reputable organizations. Reputation based on two U.S. News and World Report rankings, Best Undergraduate Teaching and Overall Score, and the National Council for Teacher Quality (NCTQ) 2017 Spring Secondary Education Program rankings of over 700 schools. We chose to weight the NCTQ at 25 percent because it is rigorous and comprehensive in their evaluation. The Annual ROI percentage, Graduate Rate, and Tuition we retrieved from IPEDS and combined it with the reputation score. Each school received a total score for the ranking below. Godspeed in your quest for the secondary education program! 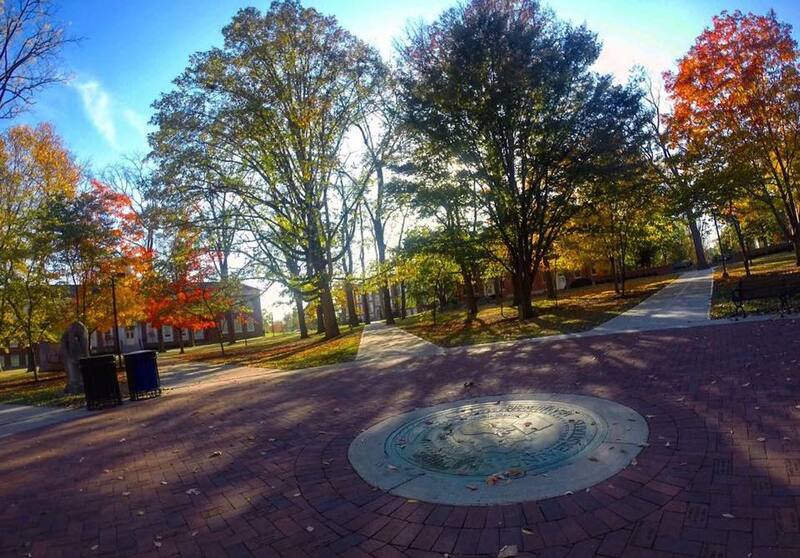 Miami University is located in Oxford, Ohio, about 30 minutes north of Cincinnati. Established in 1809, MU has grown into a respected Public Ivy that has regional locations including Hamilton, Middletown, and West Chester, Ohio and the European Center in Luxembourg. The campus is 2,000 acres, with nearly 200 buildings. 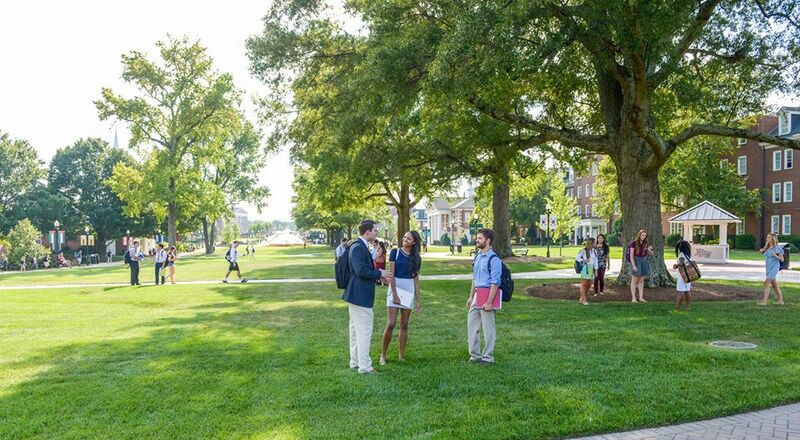 Known for an outstanding liberal arts education, the School offers 200 degrees to 20,000 students. 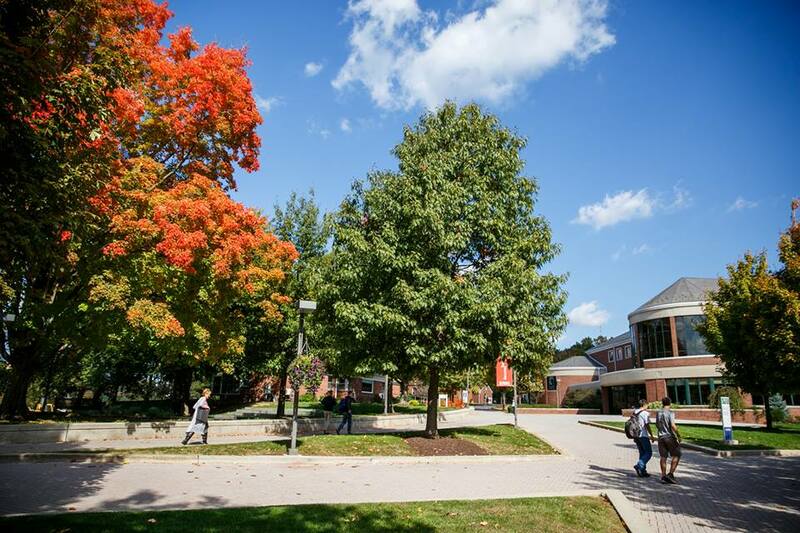 Miami University offers a Bachelor’s in Secondary Education in Integrated Math, Integrated Science, Integrated Social Studies, Integrated English Language Arts, and Foreign Language (P-12). Whatever field you are called to, MU delivers small-class, cohort style education that leads to licensure, fully accredited by the Ohio Department of Education and CAEP. There are extensive field observations and 16-weeks of student teaching. All focus areas utilize integrate technology, such as TeachLive, etutoring, and Project Backpack. MU also offers the opportunity to double-major in your area. A highlight of the program is the choices within: You can focus on urban teaching through the award-winning Urban Teaching Cohort program, earn a certificate in TELLs Teaching English Language Learners, or a minor in Special Education. Ranked #2 by U.S. News and World Report for Best Undergraduate Teaching and earning a 94th percentile ranking from the NCTQ provides assurance in regards to quality and reputation, something significant for employers. The tuition is high at $31,592, but the ROI is excellent at 8.2 percent. Part of the University of Wisconsin System, which enrolls over 182,000 students, the University of Wisconsin-Platteville is located in Platteville, Wisconsin and enrolls 8600 total students, mostly undergraduates. UW-Platteville offers 42 undergraduate majors, 71 minors, three graduate degrees, as well as some online education. The School of Education at UW offers a BS in Teaching, Early Adolescence–Adolescence (10-21). This secondary teaching degree consists of general education courses, teaching courses and the completion of a comprehensive major or a major and minor. The SoE’s motto is “Best Practices Make the Difference.” Choices are plentiful in every field, and a focus is on content: math, English, history, economics, social science, biology, chemistry, environmental science, and special education/inclusion minor, and TESOL. All the options lead to licensure, and the programs are accredited. More importantly, however, is that UW prepares you to know what and how to teach. The NCTQ rated UW in the Top Tier with only 16 other schools of 717 total. Top Tier schools are noted for strong admission standards, sufficient preparation in each the subject area, and how best to teach that subject. With a 99th percentile score from the NCTQ, and a #51 overall rating from U.S. News and World Report, UW’s reputation sparkles. Add to that the #1 ROI on our list and an affordable tuition of $15,339, and it becomes clear why UW makes our #2 spot. The City University of New York-Hunter College knows how to educate. HC was ranked #1 for “Committed to Teaching” by U.S. News and World Report. Founded in 1870, Hunter enrolls more than 23,000 students. HC has regional locations in Hamilton, Middletown, and West Chester, Ohio as well. At CUNY Hunter, the School of Education seeks to train “deeply thoughtful, knowledgeable and highly effective teachers.” With an NCATE accreditation and excellent reputation, you can be assured that at Hunter you will begin your career with excellence. The BA in Adolescent Education is offered in English, Foreign Languages, Mathematics, Science (Biology, Chemistry, Earth Sciences, and Physics), and Social Studies. Students at Hunter choose an area of study, take general education courses, and then move into content in a special area. Then, they must complete 26 credits (four semesters) of courses and training in Adolescent Education; the degree does lead to licensure. Field experiences are robust with three 36-hour experiences (connected with three courses) culminating in full-time, full-year, five-day-a-week student teaching. Tuition is affordable at $14,340, and the ROI is very good at 7.8 percent. Known for high standards, it does well to know the NCTQ scored CUNY Hunter in the 99th percentile. All in all, the #3 spot belongs to Hunter. 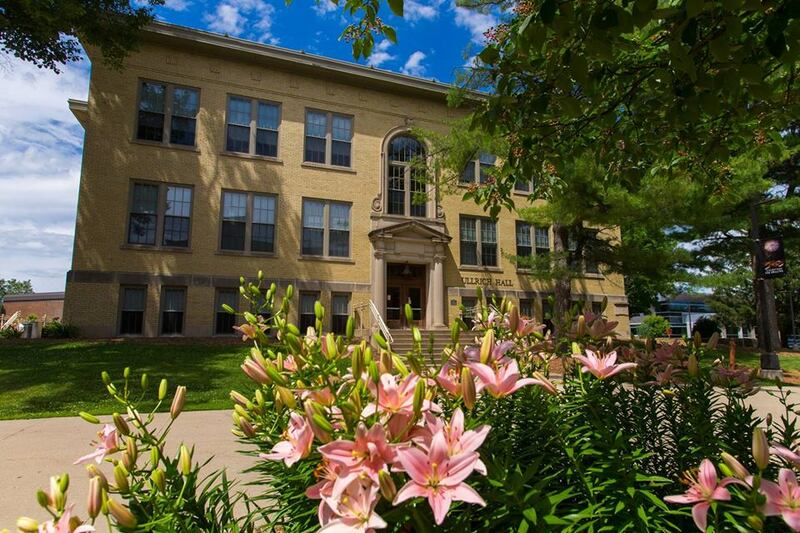 Established in 1909 as La Crosse State Normal School, the University of Wisconsin-La Crosse has been teaching students for over a century. 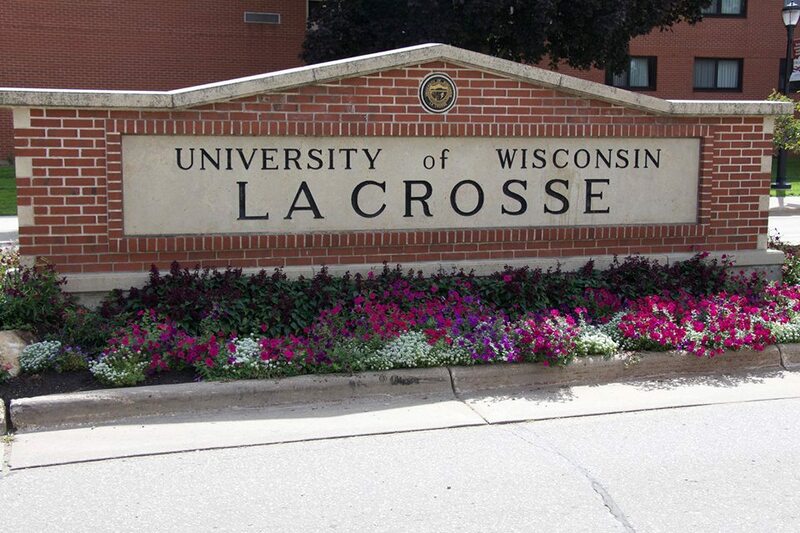 UW-La Crosse enrolls 10,500 students and boasts an 86 percent retention rate. The five most popular majors are Biology, Psychology, Exercise and Sports Science, Elementary Education, and Management. The School of Education, Professional & Continuing Education (SOE)offers a BS in Middle Childhood-Early Adolescence Education (B.S., MC-EA) with 20 options for specialization. To name a few: History, Political Science, Psychology, Adapted Physical Education, Biology, Chemistry, and Computer Science. The specific content areas are housed in the corresponding departments. The program consists of courses in general education, the School of Education, and your chosen major/minor. Specific course titles in the school of education include Communicating Effectively, Multicultural Education, and School, Society, and Teachers. After required practical experiences, seminars and coursework, the student teaching component is full-time for a full semester. The NCTQ’s 97th percentile ranking is commendable for UWL. Knowing the University is respected as an overall institution by U.S. News and World Report with a #67 ranking also adds to their cause. Taken together with the financial picture of $16,783 per year and a 7.8 percent ROI, UWL emerges at the top of our list. 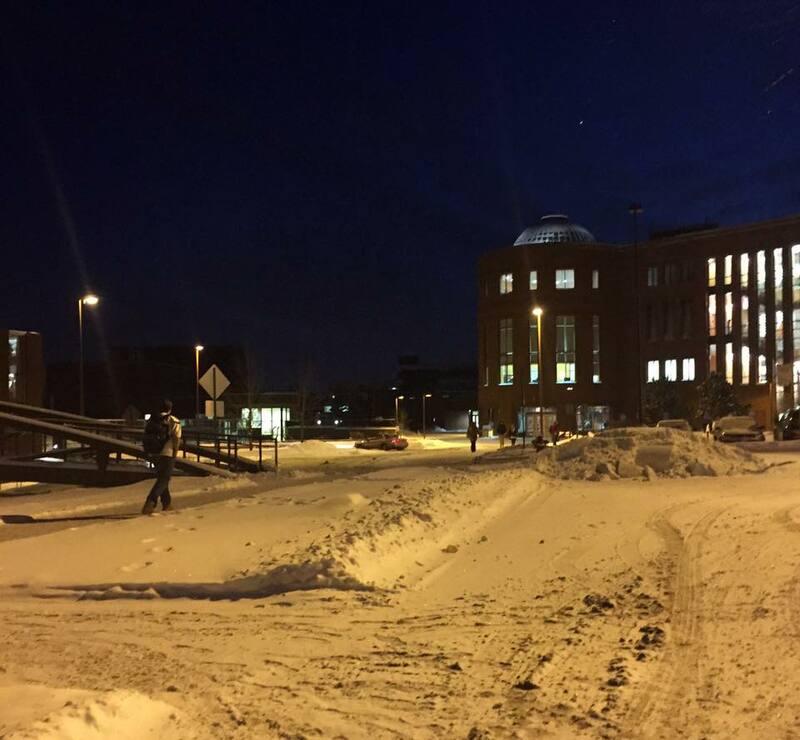 The University of Minnesota is a land-grant university organized into 19 colleges and schools with campuses in Crookston, Duluth, Morris, and Rochester. UM boasts over 400,000 alumni worldwide. 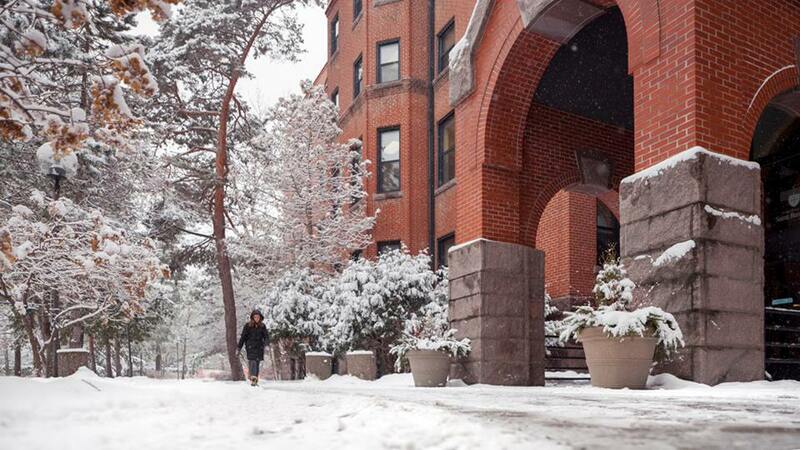 The campus is Duluth, Minnesota has nearly 10,000 students offered 80 majors. The College of Education and Human Service Professions offers the Secondary Teacher Preparation Program (STEP). The STEP Program leads to certification in Grade 5 through Grade 12 in Communication Arts/Literature, Health, Math, Sciences and Social Studies and Kindergarten through Grade 12 in Art, Music, Physical Education, and Foreign Language (French, German and Spanish). Admission is selective. Requirements include a cumulative 2.5 GPA, the NES Essential Academic Skills, ACT Plus Writing, SAT, MTLE (prior to 6/9/2016) OR Praxis (prior to 9/1/2010), 30 hours of experience working with youth, a cover letter and one letter of recommendation. Most of the program content areas are around 45 credits. Students move through the Liberal Core, into fundamental courses in education like Education in Modern Society, and finish with their content area and 12 credits of full-time student teaching. The reason UMD made our #5 is due in large part to the high NCTQ Ranking in the 98th percentile and the affordable tuition of $17,032. Upon examination of the program, variety is another attractive element, though it didn’t factor into our criteria. 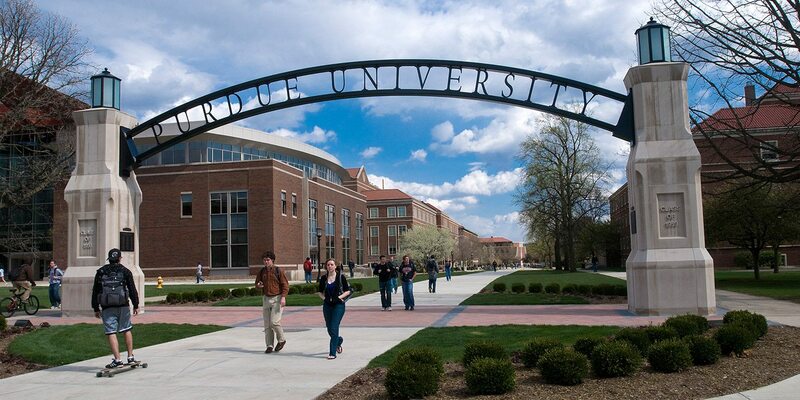 Purdue University in West Lafayette, Indiana offers over 250 total undergraduate and graduate programs. PU is diverse regarding the student population with the fourth largest international student population in America, especially attracting STEM students. The School has a very active student life with over 900 organizations. Secondary Education at Purdue is offered with many choices: English, Art, Visual Arts, Biology, Chemistry, Earth Science, Mathematics, Physics, Engineers, Agriculture, and Social Studies. Most degree types are a BS in Secondary Education. The National Council for Accreditation of Teacher Education (NCATE) and the Indiana Department of Education both accredit the degree which does lead to licensure in the state of Indiana. The programs all require fundamental courses in educational psychology, methods, philosophy, a robust content load, and student teaching. In fact, the reason PU ranks so high with the NCTQ is their Secondary Content, though they scored low on practical experience. Purdue’s reputation for quality teaching is one of the best on our list. U.S. News and World Report ranks PU #13 for Best Undergraduate Teaching and #59 for Overall Score. Also, the NCTQ ranks the University in the 96th percentile with an A+ in selection criteria. Tuition is higher at $28,804, but the ROI percentage is in the top five on our list at 10.1. 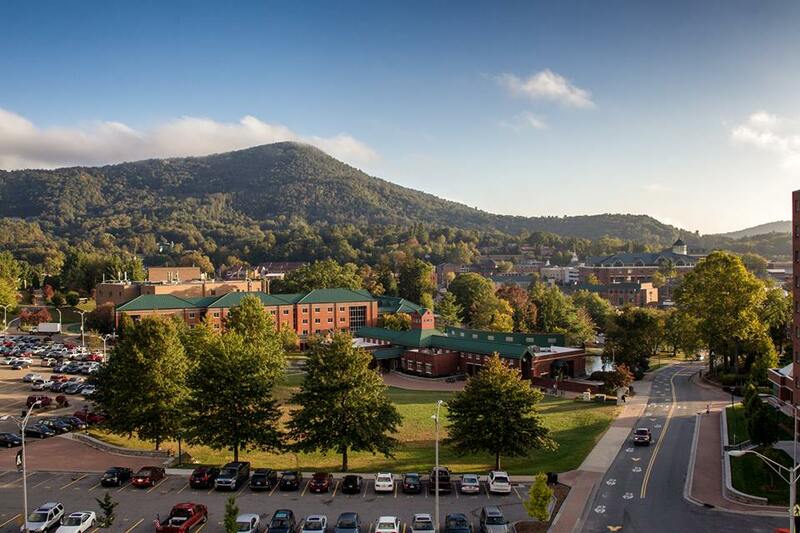 Appalachian State University enrolls 18,300 total students. The public, coeducational University in Boone, North Carolina is set in the beautiful Blue Ridge Mountains. ASU offers more than 150 undergraduate and graduate degree programs, including their 4+1 Plan that allows students to earn a bachelor’s and masters in five years. There are six options to earn a BS in Secondary Education at Appalachian: Math, English, Social Studies, Biology, Chemistry, Geology/Earth Science, and Physics. In addition to these specifically secondary degrees, there are many K-12 degrees such as Theatre, Art, and Music. As for the BS in Secondary Education degrees, they all feature small classes taught by tenure-track faculty. The Math faculty has one of the largest groups of faculty with degrees in Mathematics Education in any mathematics department in the United States. The programs are CAEP-accredited. Also to note is the Biology Education degree offers scholarships. Whatever you choose, count on an experienced faculty, relevant coursework for the education component and a focus on content. The NCTQ gave ASU an A for Secondary Content and Secondary Methods. In considering schools of education, faculty, student teaching, selection criteria, and for secondary education, content preparation is the key area. For all of these except student teaching, the NCTQ recognizes as excellent. Add to that the U.S. News and World Report #78 Overall Score and the reasonable price of $21,057 and ASU may be the place for you. Located in Lincoln, Nebraska, the University of Nebraska – Lincoln enrolls 25,000 total students. A small city with a big-city feel, Lincoln has more parkland per capita than Portland, Oregon. UNL is organized into eight colleges with over 100 classroom buildings and research facilities. At UNL the Secondary Teacher Education Program provides six options for content area: Business, Marketing, and Information Education, English / Language Arts, Foreign Languages, Science, Mathematics, and Social Sciences. The degree does lead to eligibility for certification in the state of Nebraska. The program is content-rich training students to be experts in their field while moving through an educational core. Courses include Learning and Motivation Principles for Secondary Teaching and Exceptional Learners in the Secondary School Classroom. The sequence is different than other schools in that content comes first followed by educational courses simultaneous with practicums; there are three Professional Practicum Experiences and Student Teaching. Also, you may add education abroad, undergraduate research, and service learning to your degree. With a reasonable tuition at $23,138 and a noteworthy 96th percentile score from the NCTQ gives you confidence in the quality and investment. With a #45 rank from U.S. News and World Report for Overall Score, UNL deserves to be in the top 10. 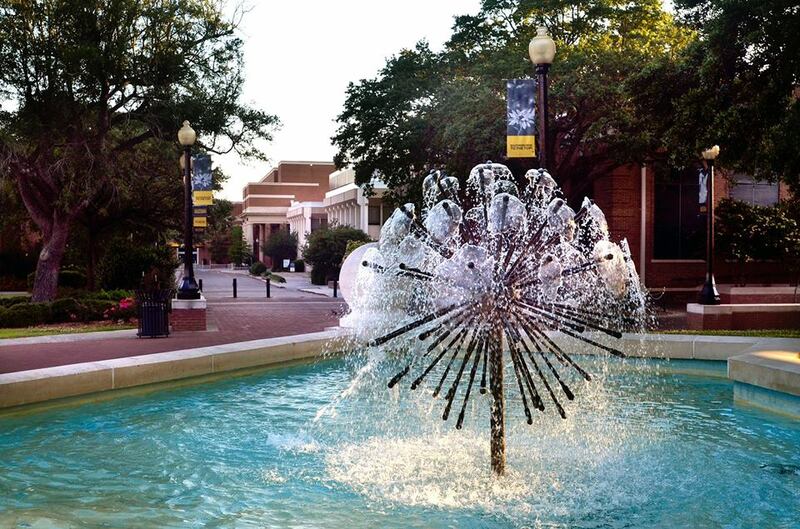 The University of Southern Mississippi, located in Hattiesburg, Mississippi, began as a small teachers college and now is an important and diverse university with 15,000 students. Besides the main campus, USM educates on campuses in Long Beach, five teaching and research sites in Mississippi, and online. Recognized for excellence in teacher education, undoubtedly owing to the historical tradition since USM’s founding in 1910 as a teachers college, the University offers just about every secondary education degree possible. From traditional degrees like the BA in English Education and BS in History Education to BMEd in Music Education, and the SM2 Degree, a dual science, and math education degree. Whatever the choice, you will be trained in best practices and fundamental educational theory and practice. Most importantly, however, is that you will be confident in your specialization because of the content-rich emphasis; the NCTQ’s 98th percentile is due partly to the A scores in Secondary Content. If science education is your goal, check out the TEACH Grants, up to $4,000/year, that are offered with the SM2 Degree. Already mentioned for their 98th percentile NCTQ score, USM’s soundness manifests even more with U.S. News and World Report’s Overall Scores #24 rank. Finally, do note the affordable $16,094 tuition and decent 5.7 percent Annual ROI. The University of Mississippi’s motto, “Pro scientia et sapientia – For knowledge and wisdom,” aptly describes their mission. Founded in 1848 in Oxford, Mississippi, Ole Miss is the flagship of the UM System and enrolls a diverse 24,000 students. First-year retention rate has increased drastically from 80.8 percent in 2011 to 85.3 percent in 2015. The School of Education’s Secondary Education Undergraduate programs lead to certification for grades 7-12. Content areas include English, Social Studies, Mathematics, Biology, Chemistry, and Physics. For all secondary options, there are three phases of the program: Core Curriculum, Teacher Education Program, and Student Teaching. Though there is variation in credits, each subject area includes 40 to 50 credits on top of educational coursework and practical experiences. Field work begins the sophomore year and includes observation, reflection, and lesson planning culminating in student teaching. Something else of interest to education majors is the four endorsement options: Emotional Disability Certificate, Gifted Certificate, PreK – K Endorsement, and Wellness and Physical Activity Endorsement. Financially speaking, UM is a wise choice scoring a 6.7 percent Annual ROI; tuition is $22,012. U.S. News and World Report’s Overall Score of UM is #40, and the NCTQ ranks the secondary education program in the 97th percentile. The educational world of ASU is truly comprehensive. ASU offers quality academics, multitudes of degrees, a very active student life, and a strong athletic tradition. Noteworthy to say the least, ASU ranks first on the Fulbright scholar’s list. 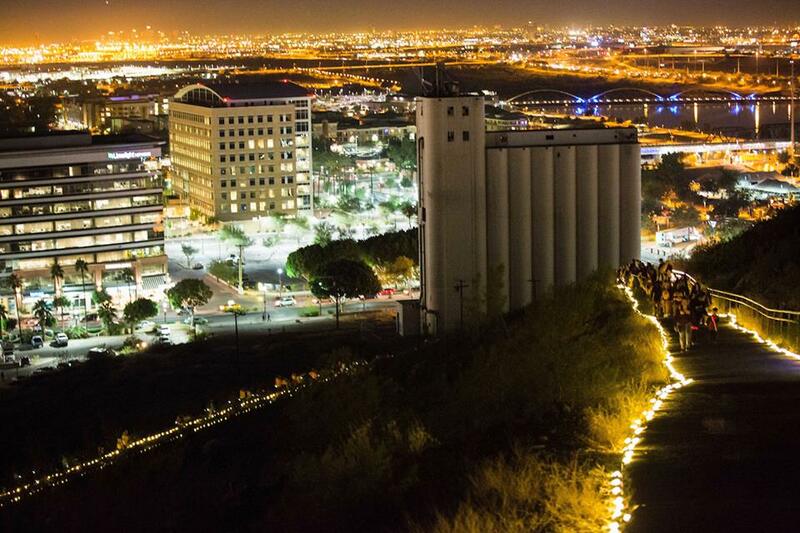 The main campus is located in Tempe, Arizona and enrolls 52,000 total students. ASU has provided many paths to earn your teaching degree and be eligible for certification in Arizona. Any path you choose will be accompanied by quality faculty-mentors and unmatched field work through iTeachAZ. One option is to start with a straight major in biology, business, chemistry, English, French, general science, history, mathematics, or physics, to name a few, and then to enroll in the Secondary Teacher Program. This full-time two-semester education piece prepares you for certification and works well for those unsure of teaching but in love with the subject, or for those who decide a couple of years into a subject-area major that secondary education is the way to go. Also available are traditional secondary education degrees in content areas such as English or Social Studies, for example. ASU’s quality program in secondary education is proven with a spectacular 99th percentile NCTQ. The program received A’s in every category and an A+ in Selection Criteria. Though tuition is slightly higher at $25,458, the annual ROI is one of the best on our list at 8.5 percent. 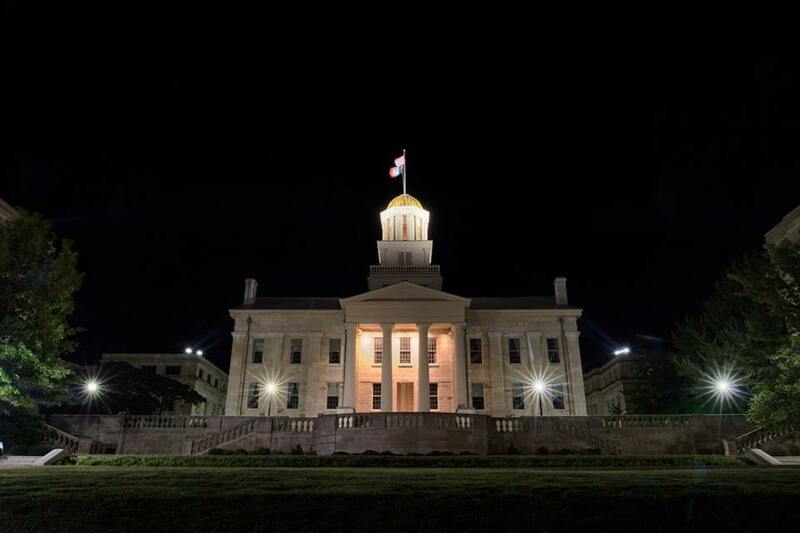 The University of Iowa, in Iowa City, Iowa, has 12 colleges offering over 200 majors, minors, and certificate programs. These academic opportunities are complemented nicely by an active student life, and vibrant athletic spirit for the 31,000 total students enrolled. The University is a top research university and has one of the largest medical centers in the nation. For those called to the noble art of teaching, UI’s School of Education offers the Teacher Education Program (TEP) that leads to licensure for grades 5-12 in art, English, mathematics, music, science, social science, or a world language. To pursue secondary education at UI, you choose your subject area and complete 30 credits, maintaining a 3.0 GPA, and attain the educational piece through the TEP. The TEP features courses in Secondary Orientation & Classroom Management, Technology in the Classroom, Foundations of Education, and Educational Psychology and Measurement. There are two field experiences and a full-time student teaching as well. There are additional endorsements or licenses for those wishing to coach, be a librarian, work with the deaf, or add a subject endorsement in a dozen different areas. All in all, UI’s #12 rank is deserved for a solid reputation and financial advantage. The annual ROI of 8.8 percent s the fifth highest on our list, and the NCTQ ranks IU in the 98th percentile. 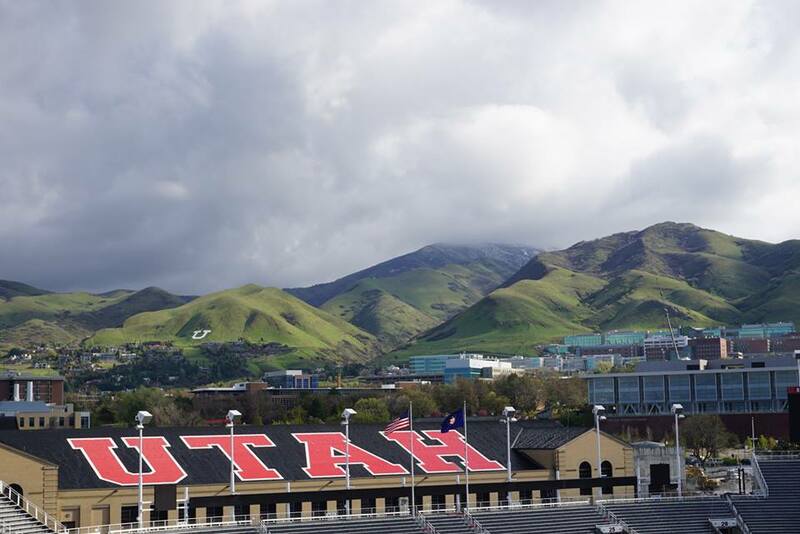 The Wasatch Mountains provide a beautiful setting for the 32,000 students who attend the University of Utah. Located in Salt Lake, City, the University of Utah is a space-grant, research university founded in 1850. Students enjoy many outdoor activities, and the most popular majors are Communication, Psychology, and Economics. The University of Utah’s Secondary Education Program trains future teachers with both in-depth knowledge of subject matter and skill in applying educational concepts and principles. If you choose UU to earn your teaching degree that leads to certification, you select a teaching major and minor; the major is required, and the minor is strongly recommended. There are 14 choices for teaching majors (such as English, history, art, etc.) and ten options for teaching minors (health, Spanish, history, etc.). Once the degree is completed, or in conjunction with the College of Education’s Urban Institute for Teacher Education 30 credit requirements, you will be eligible to teach in public schools. Courses include Introduction to Teaching, Educational Applications of Technology, and Principles of Instruction & Behavioral Support as well as field work and 12 weeks of student teaching. The #45 Overall Score given to UU by U.S. News and World Report gives you an indication of their quality. A choice to earn your degree at UU makes shrewd financial sense as well. It has the third highest annual ROI at 9.1 percent. 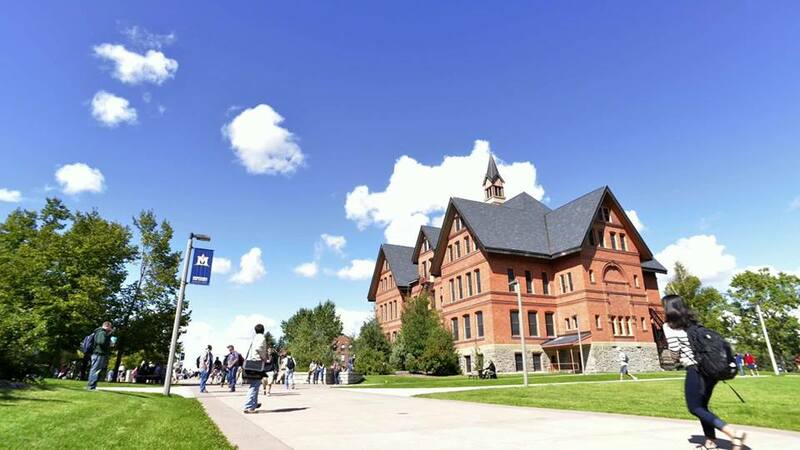 A total of 16,600 students attend Montana State University. Located in Bozeman, Montana, the MSU got its start as a land-grant university in 1893. It is the largest university in Montana and offers baccalaureate degrees in 60 fields, graduate certificates in 19 fields, master’s degrees in 62 fields, and doctoral degrees in 34 fields. MSU extends their impact through eight Agricultural Experiment Stations and 60 county and reservation Extension Offices. With in-depth training in the history and philosophy of education, multicultural education, educational psychology, assessment, curriculum, instructional technology, and exceptionality, MSU adequately prepares future teachers. For those looking to earn certification in grades 5-12 at MSU, there are several routes and many options. You can choose a major and add a minor in a subject area and then be admitted into the Teacher Education Program where you will complete the educational component through coursework and field experiences. This route works through your subject-area department and the College of Education. Another route is to take the Secondary Education Program in General Science Broadfield, Social Studies Broadfield, or Technology Education Broadfield administered solely through the Department of Education. Knowing MSU is accredited, has a distinguished reputation, and is affordable is a desirable combination. Specific data points include a 97th percentile NCTQ rating, a #26 rank from U.S. News and World Report for Overall Score, and the fourth highest annual ROI at 9 percent. The University of Alabama – Huntsville is one of the three universities in the University of Alabama System. UAH is a “research-intensive, internationally recognized technological university” enrolling 8500 students. The most popular degrees are Engineering, Science, Business Administration, Nursing, Arts, Humanities, & Social Sciences, and Education. There are nine content areas to choose at UAH with your BS in Secondary Education. Choices include, though not limited to Biology, Chemistry, English Language Arts, Foreign Language, and Mathematics. Also available are a BS in Kinesiology, Exercise Science and PE (K-12) as well as a BA in Music that can focus on education (K-12). The BS in Secondary Education degree carries the student through a liberal arts core into professional studies in education, with a 12-week internship, and into the content-specific material. Another feature of attending UAH is the award-winning Student Alabama Education Association (SAEA), which helps students interested in learning about and preparing themselves for the teaching profession. 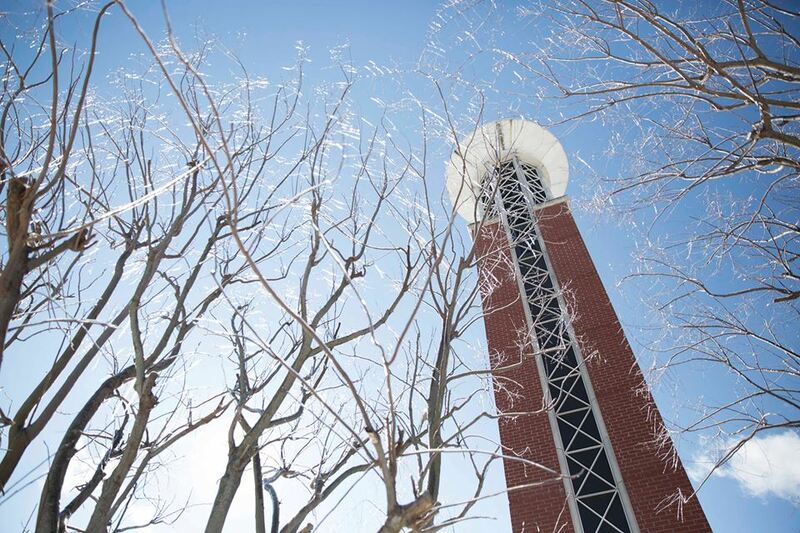 NCATE-accredited and regionally accredited by the Southern Association of Colleges and Schools Commission on Colleges (SACSCOC) as well, UAH is dependable. One of the most attractive pieces of UAH is the affordable $20,622 tuition. When examined with the long-term investment in mind, UAH also pairs well with a 6.7 percent annual ROI. 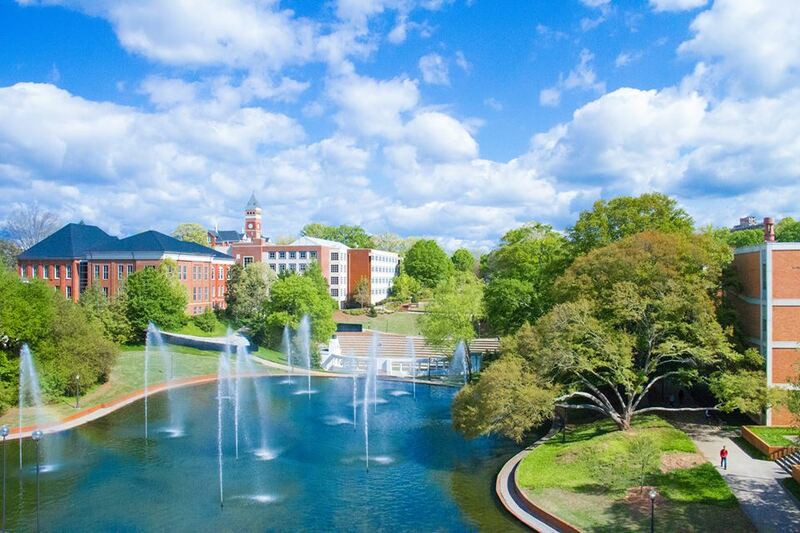 Established as an agricultural and mechanical arts school, Clemson is a large, comprehensive, research university. Over 22,000 students study 80 undergraduate and 110 graduate degree programs. There are countless on- and off-campus student life opportunities at CU, while Tiger Athletics creates camaraderie and spirit. To be a Tiger is to make a difference; more than $1.5 billion in economic impact every year. English, social studies or mathematics future teachers should check out Clemson University teacher program for high school. The BA in Secondary Education, grades 9-12 leads to certification and helps you feel confident in the knowledge and skills to excel. Since CU’s Secondary Education Program has an excellent reputation, your future employer’s confidence will be assured when hiring you. A few unique offerings and features at Clemson are the Maymester in Italy, an exciting study abroad option for education majors, Casio America Inc.’s partnership with mathematics majors, the Inquiry in Motion Institute, a venture to help improve student learning, and the Emerging Scholars program, which provides outreach to disadvantaged students. All of these options enhance the experience and make better teachers – teachers who have more compassion, more skill, and more experience. Triple accredited regionally, nationally, and for each subject area leaves no doubt that Clemson has what it takes to prepare teachers for the 21st century. Tuition is getting up there at $32,796. However, the 83 percent graduation rate (highest on our list) and 8.3 percent annual ROI put the cost into perspective. Located in Greenville, North Carolina, East Carolina is a large, public university enrolling 28,000 undergraduate and graduate students. ECU wasn’t always big, though. It started in 1907 with 43 acres as a teacher training school. Little did the founders know, it would become one of one of 17 universities in the State University System with 1600 acres. ECU also has a Health Sciences Campus, the Field Station for Coastal Studies in New Holland, and Innovation Campus in Greenville’s Warehouse district. You will find English, history, math, science, business, marketing, and information technology at ECU – all offered as a Bachelor of Science in Secondary Education. The College of Education guides 17 undergraduate degree programs, 22 graduate degree programs, six programs for advanced certification, and the EdD program in educational leadership through four priorities: diversity, assessment, technology, and research. This inclusive, yet intentional conceptual framework prepares teachers for the needs of today by “empowering all learners as educational decision-makers.” Relevant coursework includes a general and professional core with a 10-hour student teaching capping off the degree. 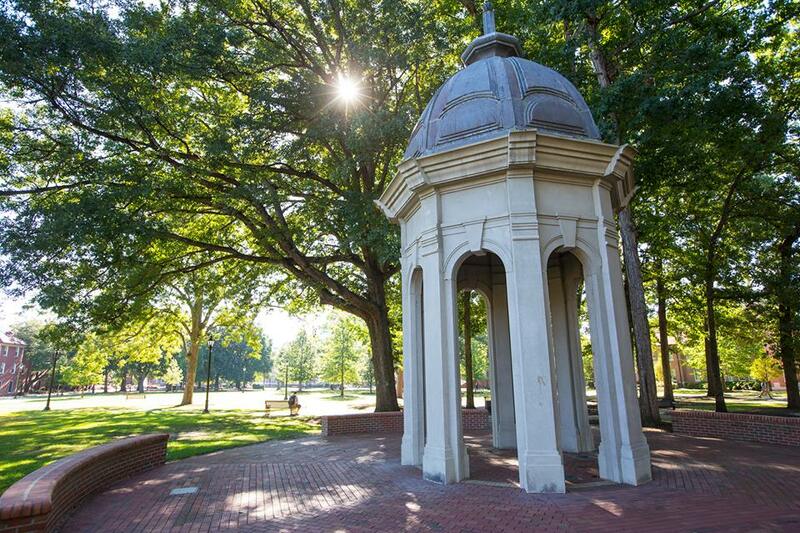 Some points worth considering ECU for your secondary education degree include a 96th percentile score from NCTQ with A’s in Content and Methodology, a 6.7 percent annual ROI, and a tuition of $29,096. Indiana University-Bloomington is the flagship campus of eight-campus Indiana University System. 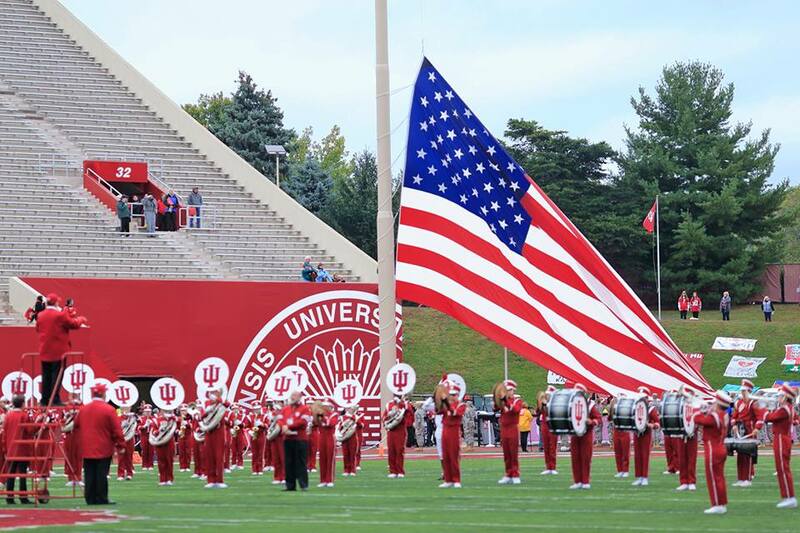 IU-Bloomington is diverse enrolling a total of 50,000 undergraduate and graduate students from 50 states and around the world who come to take part in all that a large university has to offer. There is more than 350 study abroad options, expansive degree options at every level, exciting athletics, and a vibrant campus life. There are three programs that IU-Bloomington offers to earn a secondary education degree: Anchor Program, Community of Teachers, and the Joint B.S./M.S.Ed. in Secondary Education for Mathematics and Science. The Anchor Program is what is thought of with secondary education. You choose a content area from about ten choices, taking content-specific courses alongside educational courses, in theory, assessment, classroom management, and methodology culminating in the application of everything learned in the semester-long student teaching. The degree leads to licensure. The Community of Teachers Program is unique. It is competency-based learning in a cohort of 15–18 students from a variety of content fields and at different stages in their education guided by a faculty coordinator. The material is similar to the Anchor Program, and there is still traditional student teaching, the principal difference is the delivery. 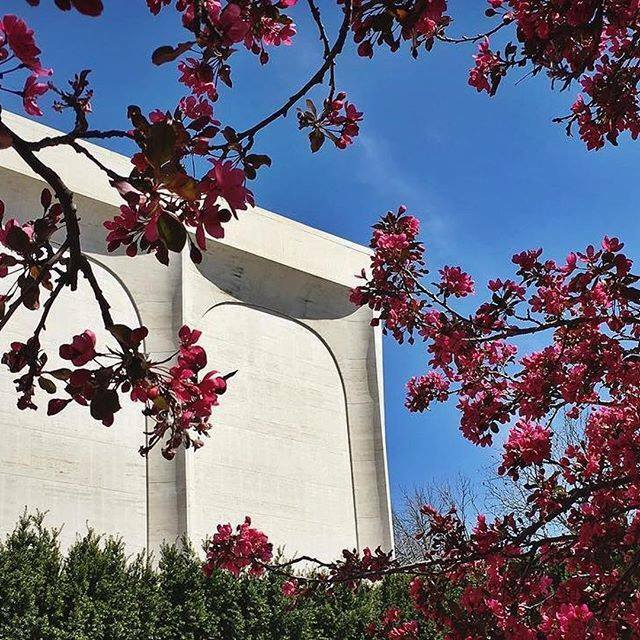 IU-Bloomington is ranked #51 by U.S. News and World Report for Overall Score assuring you of a general institutional competence. The secondary education program’s score from the NCTQ of the 94th ensures the program’s credentials. Lastly, the cost is one of the highest on our list at $34,246, however, so is the annual ROI at 8.16 percent. 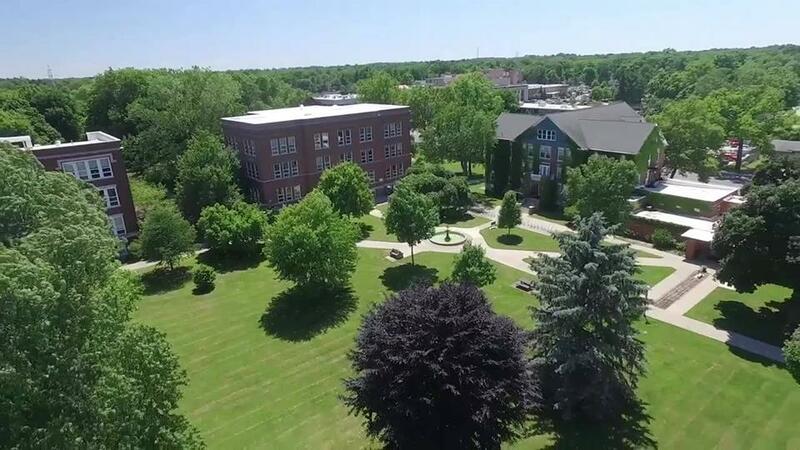 Established by Brethren in Christ Church (now non-denominational) in 1909, Messiah College in Mechanicsburg, Pennsylvania offers a Christian liberal arts education to 3300 students. The College offers over 150 undergraduate programs and 27 graduate degrees. A notable point-of-pride for Messiah College is their incredible sustainability efforts. The option for secondary education at Messiah College is guided by the department of your content-area in collaboration with the College of Education. For example, should you desire to teach English to grades 7-12, you learn the fundamentals of your content through courses like Linguistics, Composition Theory and Pedagogy, Postcolonial/World Literature, and Young Adult Fiction, and then add the educational theory and practice. There is a sophomore, junior, and senior field experience with full-time student teaching the final year. When all requirements are completed, you will earn a BA in English Secondary Education that leads to certification in Pennsylvania. The NCTQ’s rank includes an A+ in Selection Criteria, A in Content and Methodology, and a B in Classroom Management. Messiah College scored in the 98th percentile from the NCTQ as well as ranked #78 by U.S. News and World Report for Overall Score. These two points confirm a solid reputation as an institution and program. Tuition is lower at $18,820. High Point University, located in High Point, North Carolina, was founded by Methodists in 1824. 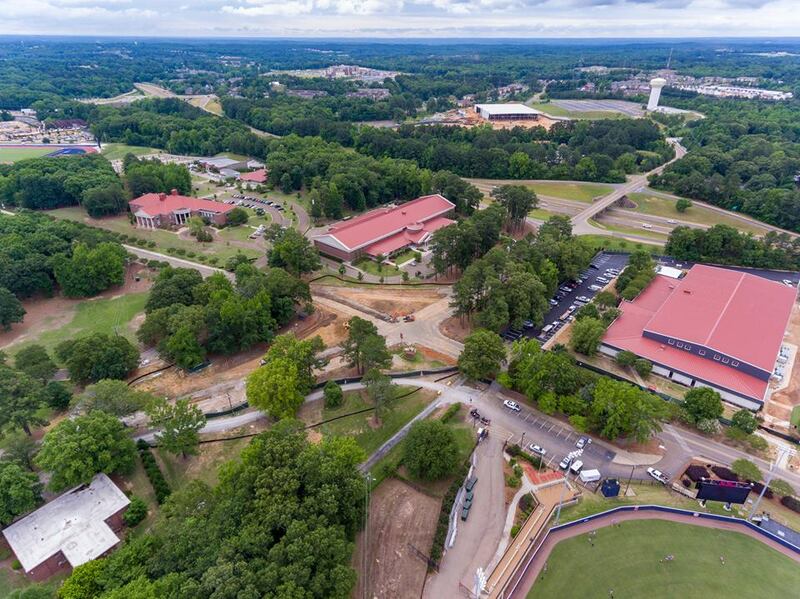 The beautiful 430-acre campus has experienced a lot of growth recently with 90 new or newly renovated facilities. HPU enrolls 4500 students. The Stout School of Education at HPU is “equips graduates with the knowledge and skills to create rich learning environments that foster opportunities for students to succeed in life, career, and citizenship.” Aiming at 21st century globally-minded citizens, the SOE offers a Secondary Teacher Program(grades 9-12) that results in a BA and certification in physical education (K-12), Spanish (K-12), biology, comprehensive science, English, mathematics, and social studies. In step with HPU’s growth-mindset, the SOE launched the New Teacher Support Group, “an initiative designed to support first and second-year teachers as they transition from the university to the teaching profession.” Student teaching is particularly high at HPU (the program received at A from NCTQ) with multiple early experiences with simultaneous seminars leading to student teaching. Overall, choosing HPU is selecting a respected teacher training school – the School is rated in the 98th and 96th percentile for elementary and secondary education by NCTQ. You will, however, have to pay for quality with a higher tuition at $33,405. Goshen College is a Christian liberal arts school set among a beautiful 135 acres and a 1,189-acre natural sanctuary a short drive away. 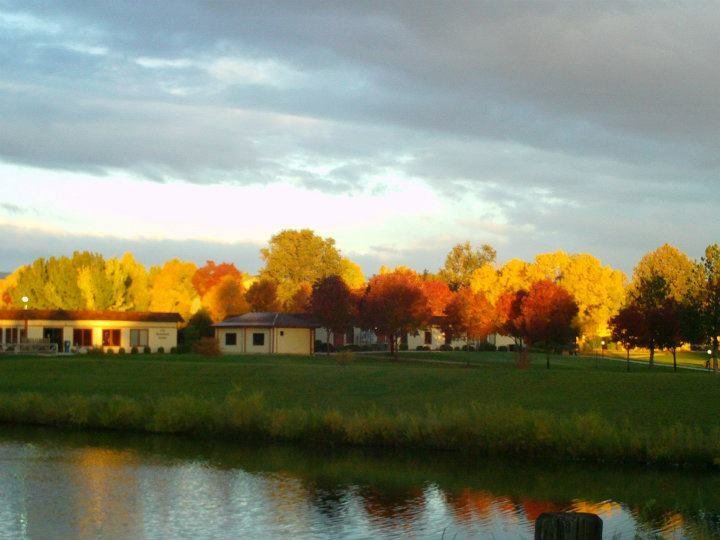 Located in Goshen, Indiana, their mottos is “Culture for Service, ” and GC enrolls 900 students. The College core values are Christ-centeredness, passionate learning, servant leadership, compassionate peacemaking and global citizenship. Great teachers inspire. At GC, the aim of their secondary education program is to prepare teachers in grades 5-12 that inspire young people. Options for secondary education include business, chemistry, English, ESL, journalism, life sciences, math, music, Spanish, physical education, physics, social studies, and theater or visual art. Not only will you learn the methodology to bring your subject alive, but you will also be well-prepared in content areas. There is also an opportunity to gain valuable work experience through GC’s Study-Service Term (SST), and international teaching experience. Speaking of experiential learning, since the nature of education is thus, GC’s focus on methodology and classroom management earn them an A rating from the NCTQ in those areas. Notable statistics include a 90 percent employment rate of new teachers within three years and 88 percent of alumni saying the teaching program adequately prepared them. If a private Christian college with a close-knit campus feel is for you, Goshen is worth considering. Their program is reputable as well as the School’s overall effectiveness; GC was ranked #87 by U.S. News and World Report for Overall Score. Tuition is on the high end of our list at $32,200. About 17,000 students attend the University of Missouri – St. Louis. UMSL is the newest university in the Missouri University System founded in 1963. The School is home to an optometry school, one of only 17 in the United States and offers undergraduate and graduate degrees through nine schools or colleges. USLM boasts an 80 percent first-time student retention rate as well. The University of Missouri- St.Louis offers a Bachelor of Science in Education (BSEd) in some contents areas. The degree program establishes a foundation of knowledge through a general core, a professional education core, and content area specialization. A feature of the secondary education program is field work every year, beginning freshmen year with the Early Clinical Experience: Community Agency, and ending with student teaching. The College of Education also boasts outstanding faculty; there are 14 endowed professors and three Curator’s Teaching Professors. Something else often overlooked when seeking the best school for your goals is the student support. At UMSL, the new Office of Advising and Student Services (OASIS) delivers fantastic support, planning, and guidance as you navigate the educational universe. 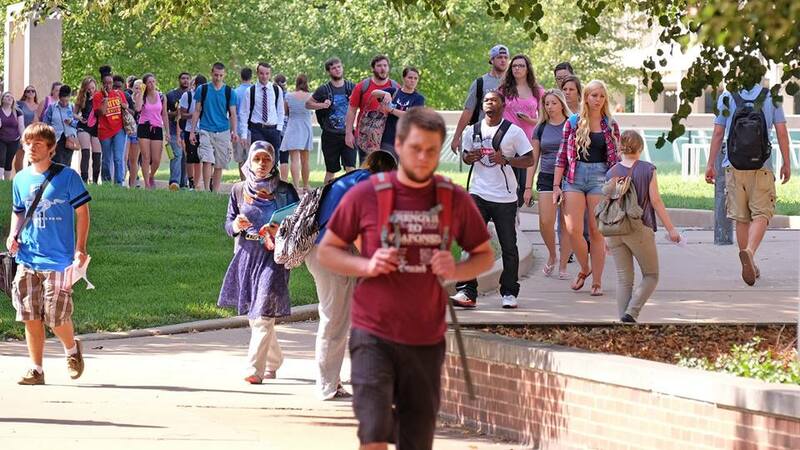 Tuition is middle-of-the-road at $26,277, making UMSL affordable. A definite bonus of UMSL is the location in St.Louis. The large city has many schools, public and private, as well as other agencies ready to hire highly-skilled and qualified teachers. Founded in 1862 in partnership with the Reformed Church of America, Hope College started with only ten students. 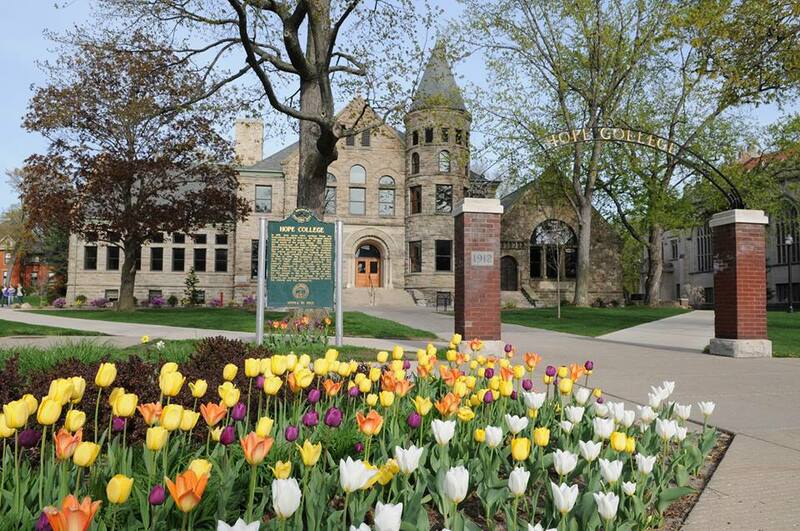 The school name came from Hebrews 6:19: “We have this hope, a sure and steadfast anchor of the soul.” Hope College, located in Holland, Michigan, now offers 3600 students 91 degrees and a host of extra-curricular opportunities. HC’s vision is “to create, nurture and sustain an exemplary and distinctive Educator Preparation Program that is innovative, integrated with the liberal arts.” To accomplish this, the Education Department offers their Secondary Program. Due to Michigan’s high school merit curriculum, those seeking licensure are strongly recommended to add to a content area a minor. For example, though you can earn a History Education degree and gain licensure, you would be more hireable if you completed the Social Studies Group Major, which is a History Major with, for example, a Political Science minor. Not to be overlooked in what makes Hope distinct is their commitment to historic Christianity. This intentional spiritual focus is infused in the preparation of teachers, and the profession is viewed as a calling. U.S. News and World Report’s #52 Overall Score along with the NCTQ 98th percentile rank undergirds the chief reasons why HC made our list. Also, something to consider for a private school is the tuition; HC’s is currently $31,560. Lipscomb University is located in Nashville, Tennessee. The 3000 students choose from 176 fields of study and are educated with an integrated Christian worldview. The School was founded by and is affiliated with the Churches of Christ. LU is mainly known for being an outstanding teacher preparation school. The College of Education at LU prepares teachers who are always curious, diligent, and imaginative. It is this lifelong learning habit that is encouraged and fostered in their secondary education program, and the Christian faith permeates your experience in and out of the classroom. The subjects available include over a dozen choices: math, science, English, history, Spanish, PE, and more. You will take Faith and Culture, Biblical Ethics, or the Story of Jesus as a grounding for your general education, Planning for Teaching, Introduction to Psychology, and more to prepare you for students of diverse backgrounds and aptitudes, a robust content-rich preparation in your subject area and three clinical experiences. If you are a minority student, check with the incredible opportunities through the Pionero Scholars Program. Named by the Tennessee Higher Education Commission’s Teacher Preparation Program Report Card as one of the best in the state, the NCTQ score in the 99th percentile and U.S. News and World Report rank of #32 for Overall Score means if you choose Lipscomb you graduate prepared. Tuition is $29,756. The Denver Bible Institute opened in 1914. What started as a one-room school is now Colorado Christian University, an interdenominational Christian liberal arts university enrolling 1300 traditional undergraduates and 5000 adult learners. The campus environment is friendly and the 92 percent first-year retention rate supports the claim. CCU is located near the foothills of the Rocky Mountains in Lakewood, Colorado about 10 miles from Denver. The teachers we all remember are the teachers that took a personal interest and inspired us to think differently. At CCU, the goal is to train teachers who inspire and are relationally-focused. If you choose to earn your secondary education degree at CCU, the small-class advantage, supportive advisors, and personal faculty members contribute the intangibles that form the heart of a teacher. For those wanting to teach high school English, history, or science CCU’s Secondary Education Program will prepare you for certification in grades 7-12. With a Christian worldview integrated throughout your experience, you will also receive over 800 hours of field experience that begin during your first year. Besides subject-area content, classes include Adolescent Development and Culture, Educational Technology, and Law, Ethics, and Reform in American Education. If you’re looking for a solidly Christian school in culture and classes, CCU works. As for the degree, there is no doubt it will prepare you to teach. U.S. News and World Report’s #35 rank for Overall Score illustrates CCU’s excellent reputation as an institution. Tuition is $27,986 with an annual 4.8 percent ROI. 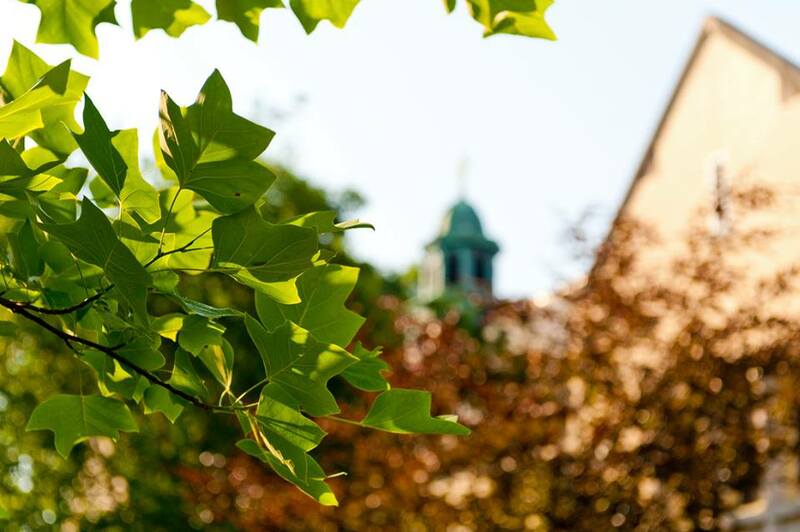 At Gordon College in Wenham, Massachusetts, students “stretch their minds, deepen their faith, and elevate their contribution to the world.” The 2000 total students choose from 38 majors, 38 concentrations, and 12 interdisciplinary and pre-professional minors. Among the freshmen class, 86 percent will return for their sophomore year. All in all, Gordon is committed to academic excellence in the Christian liberal arts tradition. Fully 100 percent of Gordon College Secondary Education graduates received employment when statistics were collected. Following their heart for academic excellence, GC secondary education majors are required to be double-majors. This ensures confidence from every angle – the College, the student, the employer. Courses needed in education include Schools in Society, Adolescent Development and Learning, and Secondary Education: Methods, Organization and Curriculum. Following the NCTQ A-rated Content and Methodology is student teaching. Something gleaned from student testimonials is the personal attention from excellent faculty members. This benefit is not quantifiable, though can make all the difference as to the effectiveness and lasting impact of a program. Ranking in the 98th percentile in NCTQ’s 2014 and 2017 survey of hundreds of schools, GC maintains excellence and relevance. The $36,060 tuition is higher than others, but with the recognition of #38 in Overall Scores from U.S. News and World Report, you will certainly get what you pay for. Developing students in mind, heart, and spirit since 1856, Seton Hall University offers a Catholic education to over 10,000 students. Situated on an architecturally and aesthetically gorgeous 58 acres in South Orange, New Jersey, SHU offers a serene place to study. The University’s 90 programs are rigorous, and SHU is known for their School of Law among others. The BS in Secondary Education at SHU “prepares highly competent, socially conscious, reflective candidates who can address the needs of diverse learners in grades 5-12.” The program consists of a content-rich core and professional courses, as well as fieldwork starting sophomore year. Three clinical experiences are required before student teaching. Many of the faculty are expert researchers and engage with students as mentors and guides. National accreditation and standards recognize every subject area at SHU in the Secondary Education Degree – English, history, math, and science. Please note that at SHU you will double major in education and your subject area. On top of a robust liberal core, and subject knowledge includes education courses in Educational Evaluation Integrating, Technology into Curriculum, and Educational Psychology and Classroom Practice. Seton’s tuition is $39,258. Though the cost is one of highest on our list, the NCTQ and U.S. News and World Report rankings of 96 and 44 for the Overall Score respectively illustrate the dependable value of the investment. Named after the King and Patron Saint of Norway, the St. Olaf College in Northfield, Minnesota, is “grounded in academic rigor, residential learning, global engagement, and a vibrant Lutheran faith tradition.” The 3000 students study in 39 different disciplines and subject areas in the natural and mathematical sciences, fine arts, social sciences, and humanities. To earn your teaching degree and certification is not easy. Secondary education at St. Olaf requires double-majoring in education and your subject area. Content areas that can be combined with education for grades 5-12 licensure are Communication Arts & Literature, Mathematics, Social Studies, Biology, Chemistry, and Physics (all 9-12), and K-12 Licenses in ESL, Music, Theatre, Art, and Language. The Education Department is NCATE-accredited and recognized by the State of Minnesota, and since the more recent NCATE visit, St. Olaf has improved through their Tk20 initiative. The initiative involves enhanced field experiences, individualized tracking, faculty guidance, and more. Something else worth looking into is the Minnesota Teacher Shortage Student Loan Repayment Program. Tuition is one of the highest on our list at $44,180. Take this with the perspective that a St. Olaf degree is highly respected and recognized by the NCTQ (98th percentile) and U.S. News and World Report, ranked #67 Overall Score. About 68 percent of undergraduates receive financial aid, and the average need-based scholarship or grant award is $30,182. Like much of our history, Albion goes back to the pioneers, in this case, a donation by Jesse Crowell of 60 acres in 1841. Now a private liberal-arts school in Albion, Michigan, the small school in the college town enrolls 1300 students. The culture at AC is one of scholarship, aided by their 11 to 1 student to faculty ratio and excellent faculty, of which 90 percent are tenured. 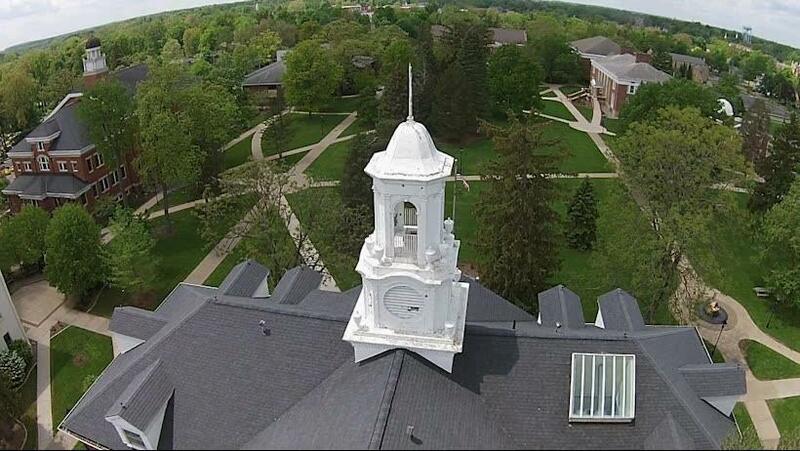 There are 18 options for secondary education at Albion College; 14 for grades 6-12 and four K-12 options. Options include but aren’t limited to math, science, history, English, music, and language. The program requires you to complete a teaching major of at least eight units, a teaching minor of at least five units, and a sequence of pedagogy courses. Education courses include Literacy Pedagogy in Secondary Schools, Teaching for Understanding in a Diverse World, and student teaching. Challenging classes help teach the next generation, but something notable at AC is the other supports for training the next generation. The College is home to the nationally-recognized “Model of Excellence” by the Association of Independent Liberal Arts Colleges for Teacher Education Fritz Shurmur Center for Teacher Development and the Ferguson Center for Technology-Aided Teaching and Learning. When looked at holistically, Albion has a lot to offer: a college town, personal environment, stellar program and support structure, and a good reputation (high ranks from U.S. News and World Report and the NCTQ). The one downside is the high cost at $41,040. According to CSB/SJU’s philosophy of education, purposeful decision-making is what makes teachers effective. In step with this, the schools provide a liberal-arts core as a solid foundation to build content-area and teaching knowledge and skills. To earn a secondary education license at CSB/SJU requires majoring in an approved content area and minoring in Secondary Education. The content areas available are Communication Arts/Literature, Mathematics, General Science (5-8), Biology (9-12), Chemistry (9-12), Physics (9-12), or Social Science. Theology is a non-licensure program that can be utilized in private schools, and there are also K-12 options in language and the arts. Clinical experience is considered vital for adequate preparation at CSB/SJU, and there are three experiences and student teaching. Though tuition is higher, at $42,271, the average annual employment rate in educational settings exceeds 80 percent. Also, if the quality is your #1 goal, you can’t go wrong with the preeminent academics and personalized instruction of CSB/SJU.